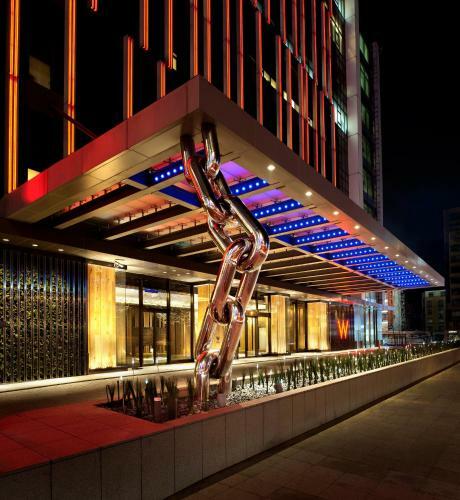 Artistic and chic, the luxurious W Taipei enjoys a central location in Xinyi District. Located directly above Uni-Hanku Department Store, it boasts the beautiful WET® outdoor pool, pampering massage at AWAY® Spa and the trendy Woobar Night Club. Check in and go keyless with the SPG App. Book a top hotel in Taipei. W Hotels exclusive offers. Best Rated ... 5,; Xinyi District; Taipei,; 110; Taiwan; Map.